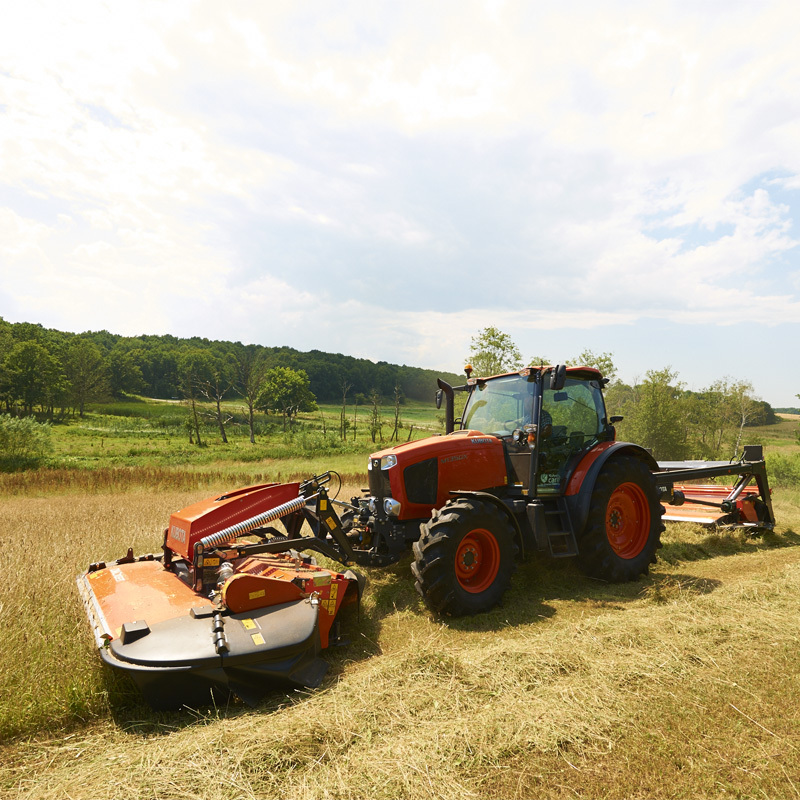 Front mounted mower conditioners with steel tines or roller conditioning. 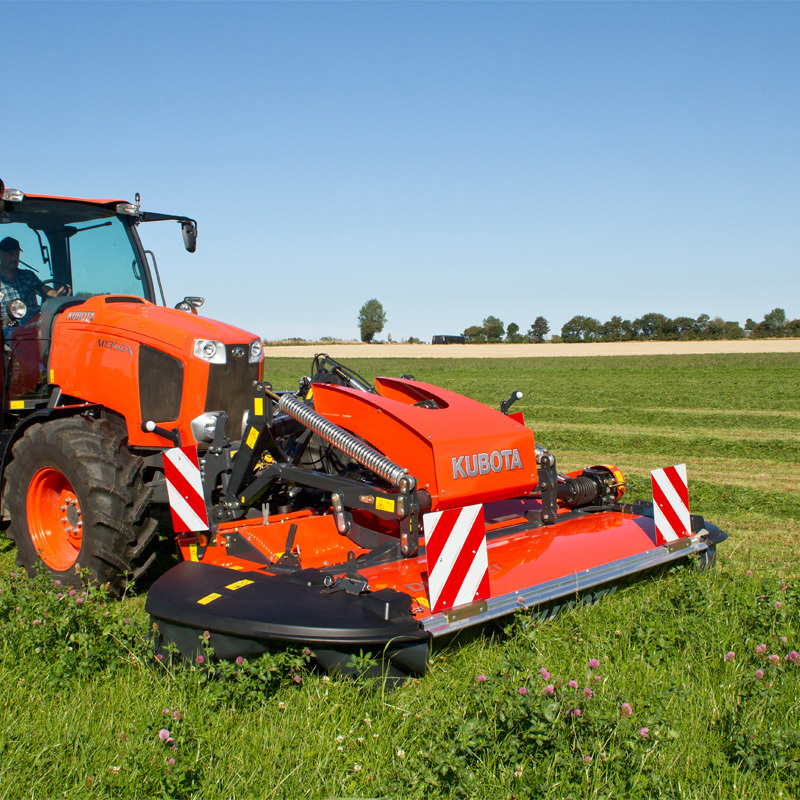 The Kubota DMC7000 series can be used in combination with a variety of mower conditioners, including the DMC6000 series, DMC6132T, DMC8000, DMC8500, or on its own, making this an extremely versatile machine. 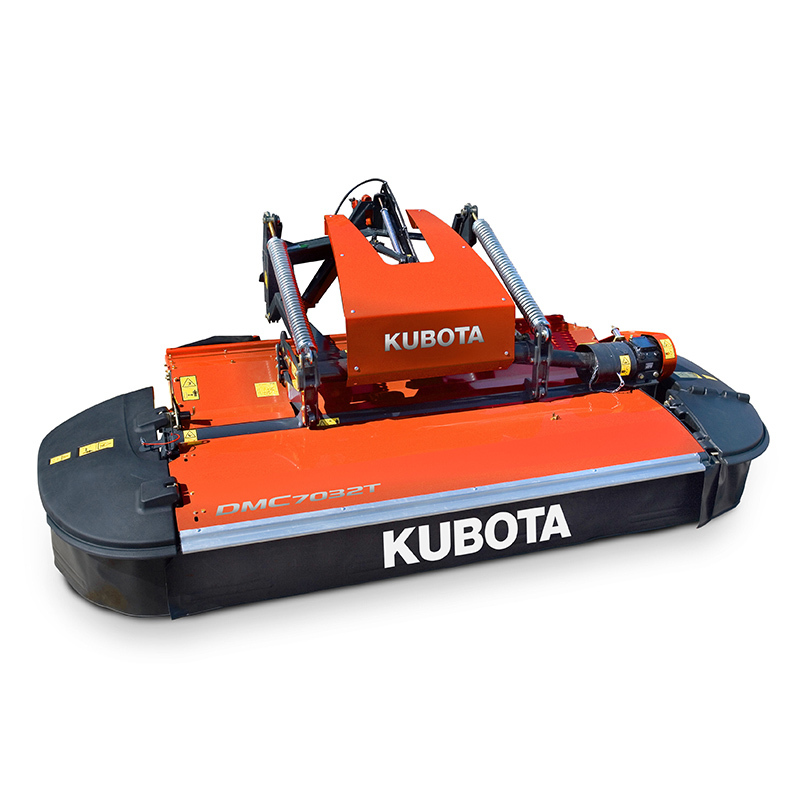 With working widths of 2.80, 3.20 and 3.50m, the capacity of the machine is substantial. Flexible moving pattern, downwards movement of 250mm and upwards of 450mm. 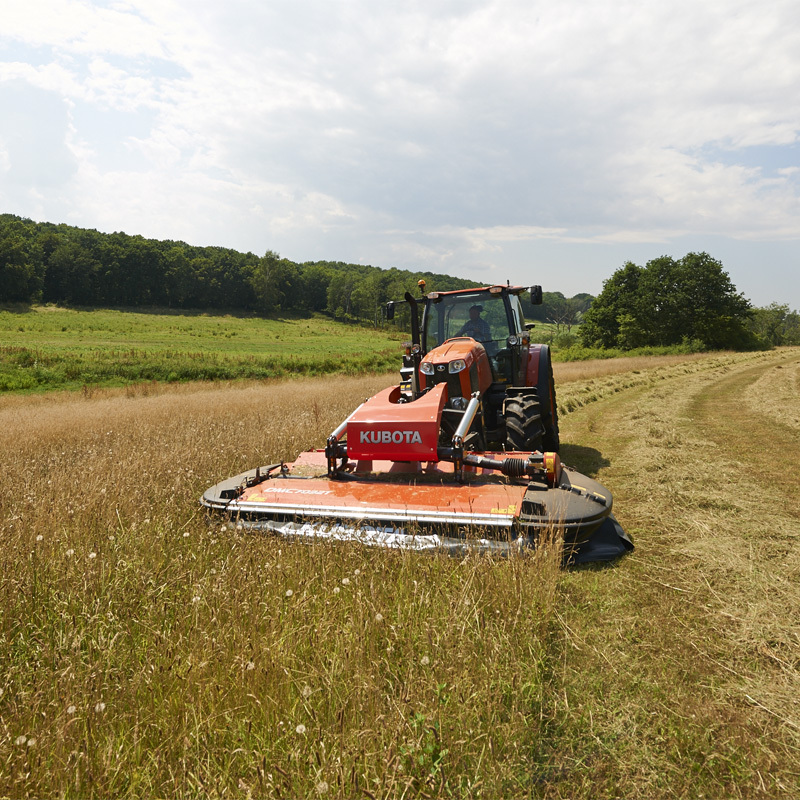 Working Width No of Discs Conditioner Power Req.